Cox: "Hopefully we can make sure something like this doesn’t happen again." 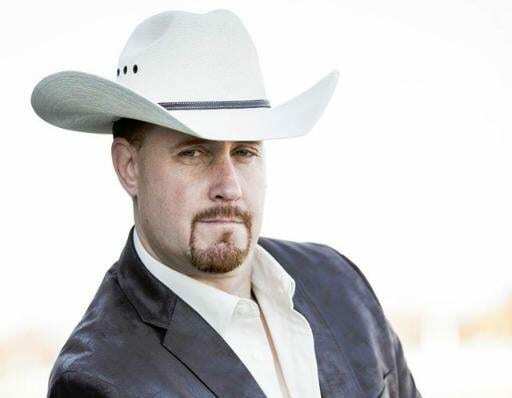 To those that don't know him, Kevin Cox is often referred to as the Brooklyn Cowboy, a professional handicapper for Saratoga Bets whose pics and opinions are followed far and wide online, on social media and previously on Esquire Network's docuseries Horseplayers. Standing 6'4” and routinely donning his signature headwear, a broad-brimmed cowboy hat, he is easy to find in a crowd, and that crowd is often at the racetrack. The Brooklyn, N.Y. native, who is also a 20-year veteran of the New York Police Department, gained celebrity status after winning several handicapping tournaments, including the Belmont Park Handicapping Challenge. It was a series of very different tweets and Facebook posts, followed by an open letter and formal petition to the Florida Horsemen's Benevolent and Protective Association and Tampa Bay Downs that most recently caught the attention of the racing public. Cox's actions were in response to 9-year-old gelding Judge Burns returning to the races after a nearly five-year-layoff on March 18, 2016 to finish fifth in a seven horse field. Bred in West Virginia by his owner, Judge Burns had made only two previous starts. As a 4-year-old, he won a maiden special weight at first asking at Colonial Downs in July of 2011 and followed that up with a sluggish fifth place effort a month later at Charles Town in an optional claiming event. Then, crickets. Early this year, Judge Burns started showing up on the work tab at The Gallops Training Center in Reddick, Fla., posting three works prior to his entry at Tampa Bay Downs. Cox, who worked on the backside and as a jockey's agent after his career with the NYPD, went to the racing stewards at Tampa Bay Downs to ask why a horse coming off a five-year hiatus from racing was allowed to run without putting in a published work at a racetrack for a state veterinarian. “The stewards said since he was not on the vet's list after his last race, he didn't need to work for a vet to be entered,” said Cox. To Cox, that was simply unacceptable. A horseman himself, Cox saw the lack of regulations for bringing horses back from prolonged layoffs as putting both horses' and horse racing's well-beings in jeopardy. He drafted a letter to the Florida HBPA and Tampa Bay, which can be read here, and copied members of the media and national racing-affiliated organizations, including The Jockey Club and NTRA. The letter suggested formalized regulations for horses coming back from long layoffs. Cox's letter garnered shares, likes and re-tweets from across the country and around the world. His Change.org petition, which can be found here, has nearly 200 signatures in less than a week and continues to gain traction and support. His efforts already seem to be paying off. Last week, a 10-year-old gelding named Ju Jitsu Jax was entered to run at Gulfstream Park after a 27-month layoff. Cox and others spread the word far and wide via social media, and calls were made to Gulfstream Park management. “He was a $700,000 winner and was in for $6,000. The powers that be at Gulfstream mandated that the horse be scratched, which is a good thing,” said Cox. Cox's actions are indicative of his approach to Thoroughbred racing — and life in general. He strives to be a good citizen of the business and to give back wherever he can. He is on the board for Old Friends at Cabin Creek in New York and is on the advisory board for the Thoroughbred Aftercare Alliance. He routinely donates to those and other aftercare organizations and uses his popularity and reach among handicappers and horsemen to gain awareness for aftercare issues. It's not just equine welfare that Cox is passionate about. He would like to see other changes made in the racing industry that he feels would improve the sport for not only the horses, but the horsemen, bettors and America's position in the global racing scene. At his core, what drives Cox today is what has driven him for years — a love of horses and a passion for helping those who need it. With the NYPD, he was a first responder during the 9/11 terrorist attacks. He worked Times Square as a mounted police officer, and in fitting fashion, his equine partner was a retired Thoroughbred racehorse. Though his career has taken a departure from his days on the force, his desire to right wrongs where he can remains. Last week while being interviewed on Racetrackers¸ Cox was asked about the situation involving Judge Burns and why he chose to take action. His response was simple. This entry was posted in Aftercare Spotlight and tagged Aftercare Spotlight, equine welfare, Horse Racing, Horse Welfare, Jen Roytz, Kevin Cox, Thoroughbred aftercare, thoroughbred racing by Jen Roytz. Bookmark the permalink.